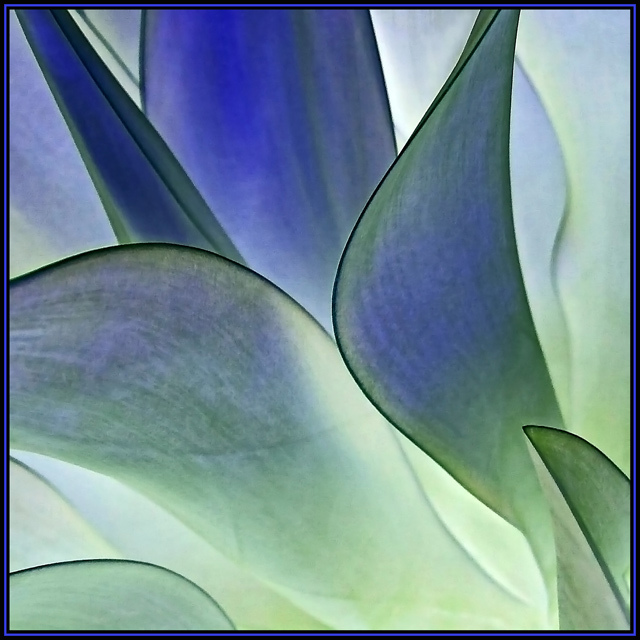 Another Negitive" image, re one of my "Agave" plant images, using the "Invert" prosess with Adobe Photoshop. This now has a stained glass painted feel, and almost transparent. The tones and lines in this are just music... BEAUTIFUL!!! I don't know why I love these so much - just know that I do. Lovely! Yet another great Agave shot! I really like the colors on this one, and the composition is nicely balanced. I agree with mystopia about the outlining, it really brings out the flowing lines of the plant. Wow the colors on this are beautiful making them look transparent. I love how the dark outer lines of the leaves stand out. Proudly hosted by Sargasso Networks. Current Server Time: 04/21/2019 02:50:30 AM EDT.